An 82 year old man come out of the Hot Yoga Room after his first BikYasa and says: "This is the best thing I have ever done for my body! I wish I found this earlier." BikYasa is the Ultimate in Hot Flow Yoga today! Never too late to start again! Whether you are old, or whether you are young, whether you are healthy or whether you are sick, whether you are small or whether you are big, Yoga is for you! If you are LAZY, then Yoga is not for you. Heal your body from stress and tension! Excite your heart while you control your thoughts! Yoga Teachers - This practice teaches you communication, presence and sequencing. Experience the Hot Yoga Class that is taking the world by storm! This original form of BikYasa (fusion of Hot 26 and Flow) can be found modified in studios around the world. Original sequence has been the most attended Yoga Class at various Yoga festivals around Europe. Download the Original BikYasa TODAY! and Discover how your body, mind and life improve for the BETTER! 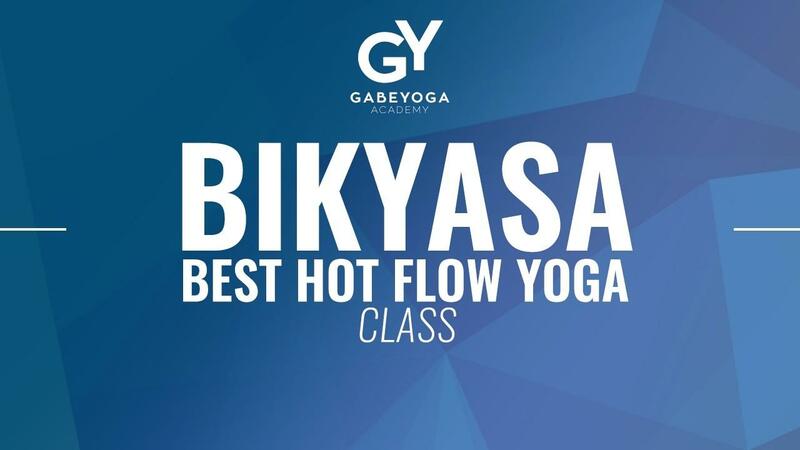 BikYasa is the best Hot Flow Yoga today! The perfect balance of Hot 26 and Vinyasa, modern music and silence.